Also included are the costs for our two most popular products for ready-to-hang panoramic wall artwork, the Floatmount and the Gallery Acrylic Facemount. What if I don't know the aspect ratio of my image? If you don't know the aspect ratio of your panoramic photo, that's okay. After you've uploaded an image and are on the select a size screen (step 2), your image is automatically reviewed and a variety of sizes are recommended to you based on the aspect ratio of the photo. Want to know more about panoramic aspect ratios? Click here. Costs below include the print + mount ready to hang on the wall. Shipping costs are calculated separately at checkout. Cost below are for base product build and do not include upgrade options. Learn about popular panoramic aspect ratios. Learn how to create panoramic wall artwork from an iPhone. Do you want to see how ready to hang panoramic wall artwork is made? Watch this 60-second video. 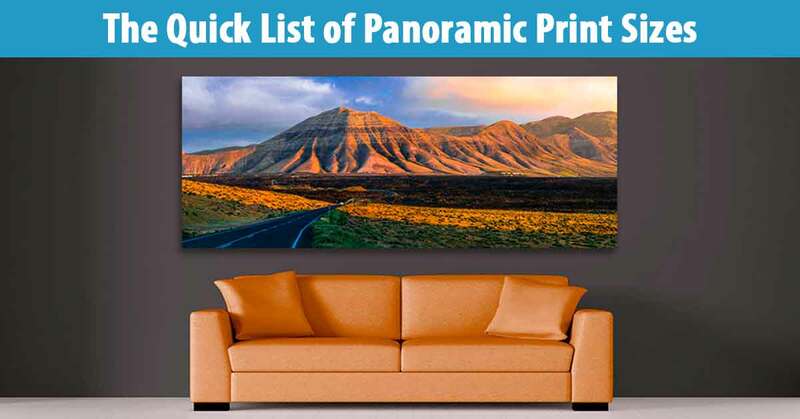 Are you ready to create your own panoramic wall art? Click here to select a product and then upload a panoramic photo to begin.